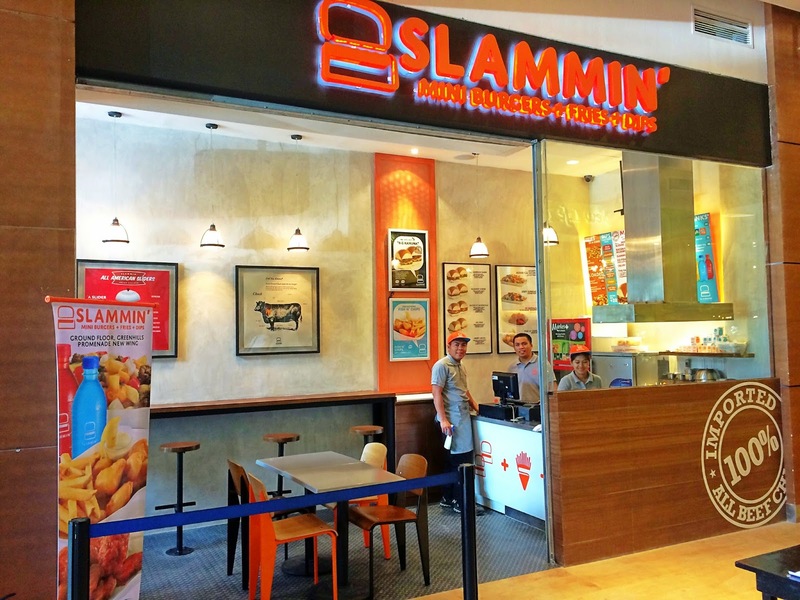 Slammin' Mini Burgers may not be as visible as the new establishments in the new wing of Greenhills Promenade, but they surely get a lot of visits especially from moviegoers who are tired of the usual popcorn and chips from the cinema's snack bar. Slammin Mini Burgers reminds me of White Castle sliders from S&R, only this time, the burgers are cooked fresh rather than microwaved out of the box. Being not much a huge eater of burgers, I appreciate sliders that let me taste different flavors without stuffing myself. And that's why I really enjoyed our recent visit to Slammin' Mini Burgers earlier this month. As much as we were eager to try their classic mini burgers, it was Slammin's Exclusive Black Box Series that made us excited. Thanks to their Black Box Triple (P265), we were able to sample all three limited edition flavors. It was hard to choose a favorite as all were equally delicious. I didn't quite tasted the salted butter and caramel, but each burger was packed with extraordinary flavors. For those who want it simple, the Slammin' Trio (P225) will give you a taste of their best-selling juicy burgers made with 100% pure beef chuck. They may look simple but the beef patties exceeded my expectations. They were aromatic, juicy and flavorful, all topped with cheese. The Bacon N' Mushroom was my favorite followed by the All American Slider. Slammin's New York Buffalo Wings with blue cheese dip didn't disappoint in terms of taste, but I wish the skin was crispier and crunchier. 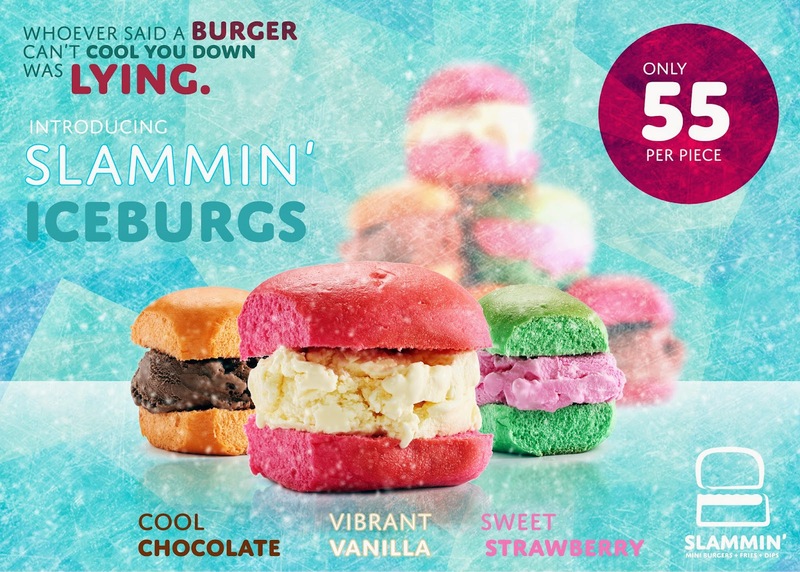 Too bad we missed out on the Slammin' Iceburgs (P55). Will definitely try this next time! 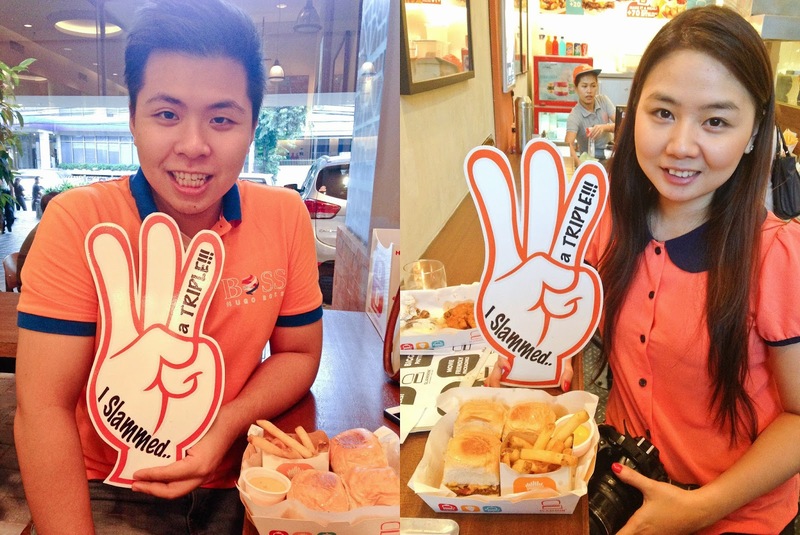 Look who wore matching outfits to Slammin' that day..
Be sure to drop by Slammin' Mini Burgers at Promenade's new wing soon and catch their limited edition Black Box Creations as they are on the menu for 6 months only. 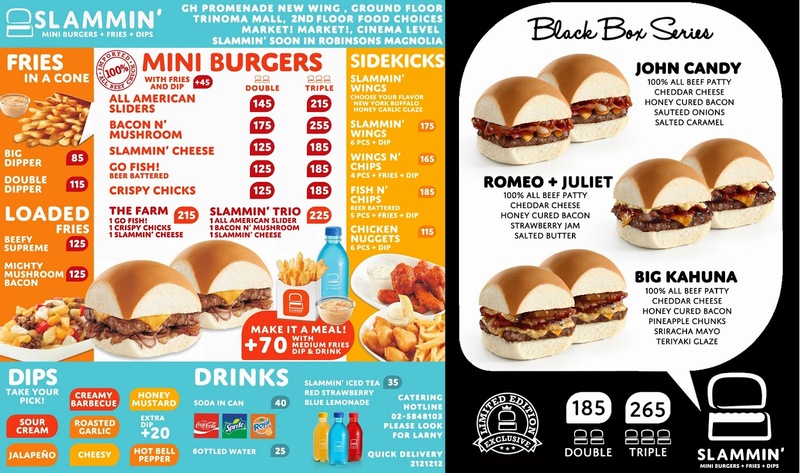 With their affordable prices, we'll definitely bring some Slammin' mini burgers to our movie nights. This post made me miss all the dimsum goodies in HK! I must sayit looks like one of best places for a great meal. i visited last year after completing my bus to washington dc. but than i was not aware with dimsum but now i would love to visit there. Hope i will have great time there. Wow! These all dishes are looking delicious and mouth watering in all above pictures. I am happy to see this post because next week i am going to Hong Kong after coming from my https://twitter.com/goldenbustours. It will be my first trip of this region and i will surely experience the dimsum. I have heard a lot about this region but never had a chance to explore it personally but now my wish is going to be fulfiled and i am very excited.